Persea americana is a medium to large tree, 9-20 m in height. 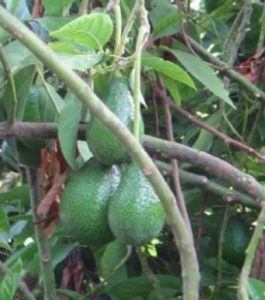 The avocado is classified as an evergreen, although some varieties lose their leaves for a short time before flowering. The tree canopy ranges from low, dense and symmetrical to upright and asymmetrical.